Advertising is the key to the internet giant’s NFC strategy and Eric Schmidt provided delegates at the Mobile World Congress last week with clear examples of how the company expects to be able to take advantage of the technology. 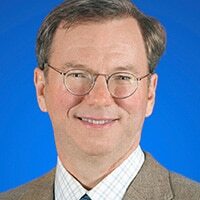 An NFC-enabled mobile phone that knows you need new trousers, knows where you are at any given time, and can tell you the nearest place to buy a pair is the vision of outgoing Google chief executive Eric Schmidt. Confirming that NFC, enabled by the coming wave of Android smartphones outfitted with near field communications technology, could turn into a serious business for the company, Schmidt said Google could work with advertisers to “extend offers to phones with NFC chips”. He told delegates at the Mobile World Congress in Barcelona last week that NFC chips, such as the one in the Nexus S, can be used as a secure ID for electronic transactions, and presented a “mega opportunity” for Google. “NFC has been around for a long time but everything has just started to come together,” said Schmidt, who will turn over the chief executive role to Google co-founder Larry Page in April, but will stay on at the company with the title of executive chairman. Outlining his vision for how the technology would work in practice, he added: “I’m walking down the street and I need pants [trousers]. My phone has an NFC chip. It knows where I am. It tells me about two stores, one to the left with a 20% discount and one to the right with a 30% [discount]. “It is programmed to know I am a cheapskate so points me to the right and the store knows what pants I want. Schmidt noted that consumers would have to opt in to such a mobile promotion and shopping service so that the application and databases, located in the cloud, would be able to act on their likes and dislikes and buying patterns. Schmidt didn’t say anything about Google offering a payment service itself, though speculation continues that it would be involved in the payment transaction. His speech at the conference backed up an article he wrote last month in the Harvard Business Review, in which he explained that mobile money is one of three key areas of focus for Google in 2011. In December, Google included support for NFC in the Android 2.3 Gingerbread operating system and near field communication functionality is also included in the Nexus S smartphone. The company launched its first NFC marketing service in Portland, Oregon the same month, while it emerged last week that Austin, Texas, will be the second location for Google’s roll-out of its NFC Hotpot marketing service. As with the service already live in Portland, the ‘Recommended on Google’ stickers being distributed in Austin contain an NFC tag. Consumers equipped with an NFC phone simply touch their phones to the posters in order to access information on the service provider via the Google Places with Hotpot service. Google has now released Android 2.3.3, an update to Android 2.3 Gingerbread, specifically designed to add more NFC functionality to the operating system.